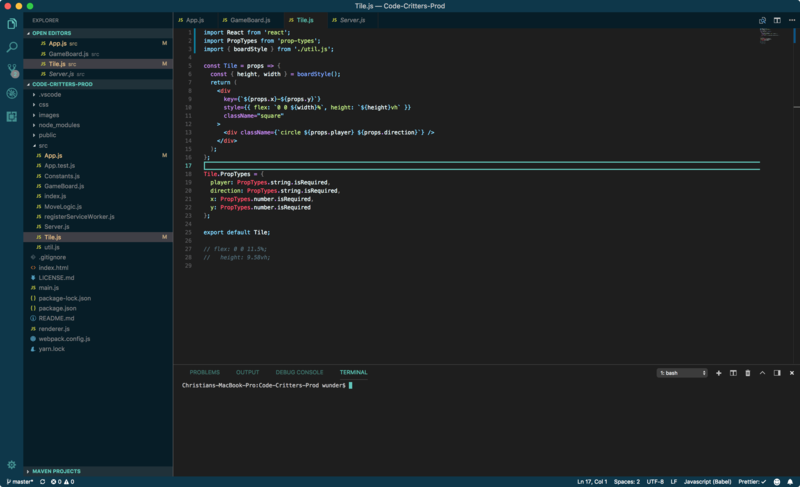 Visual Studio Code>Themes>Woz-U ThemesNew to Visual Studio Code? Get it now. Two Woz-U color themes. One light and one dark. This repo contains two themes using Woz-U official colors. One light theme and one dark theme are both contained in the themes folder. To install the theme using Visual Studio Code click install. If you would like to help make these themes better you can follow the instructions below to install this theme through github. Once inside this location, you can then clone this repo directly to your extensions folder using the command directly below. Once the repo has been cloned if you have an instance of VS Code already open use the shortcut Ctrl + Shift + P (Mac: Command + Shift + P) to open the command palette and type >reload followed by enter to reload that instance of VS Code. Once VS Code has reopened use the same shortcut Ctrl + Shift + P (Mac: Command + Shift + P) and this time enter theme and then select Preferences: Color Theme. Once the drop-down list appears, use your keyboard arrows to navigate up and down the list and then choose which theme you would like. If you directly edit the copy of the theme inside your .vscode\extension folder the next time you reload vs code the theme will update. Clone a new copy of the repo in a different location for editing the themes, then run the app with F5 to launch a sandboxed instance of vs code which you can use Ctrl + R to reload.